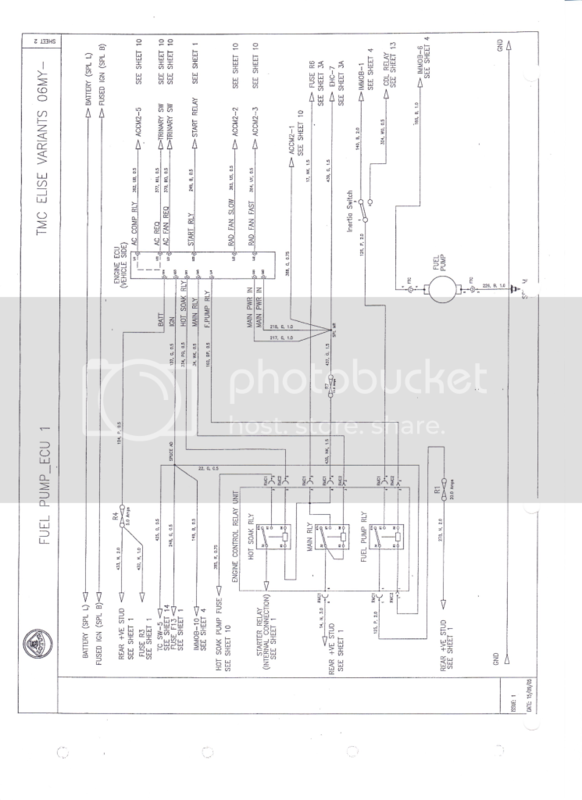 Doers anybody know where I can get a wiring diagram for 05 - 06 Lotus Elise? I'm particularly interested in the fuel pump wiring. I believe I have it here. Let me check. Do you need 05 or 06? Thank you so much!!!!!! That's a very big help. Do you have sheet 4 too? It looks tough to read, is the plus 12v side of the pump connector pin 4? Is the ground side of the pump pin 6? Storm titanium 2005 Elise with carbon fiber spoiler, BWR sway bar, BOE toe links, gPan2, LidBone, sector 111 wheel studs, Grey RAC Monolite wheels with toyo R1R, Team Dynamics 1.4 with Hoosier A6/R6s, Katana2 Supercharger, ECU with 265 flash. PPE headers w/decat, CEL angle eliminator, Silent touch catback, Rear Panel Eliminator, HKS intake, V2 fuel tank, Walbro255 fuel pump. HID lights. Sheet 4 from which year? MY05 and MY06 have separate wiring sections in the service manual. Sheet 4 for 06. I have a 06 customer Elise that cut off in the his leaving his driveway and won't restart. Fuel pump is not running. Ok, I will get that to you this evening. You know you can get this from the Lotus FSM? Its like $35 dollars online and you can copy it. Worth every penny and then some. 440bhp E85 2006 Solar Yellow Elise. The way it should have been delivered from the factory with Honda Power! Need to get a simple on/off switch installed for the passenger airbag unit. Thanks for posting this. It has helped me significantly. Does anyone have the 06' diagrams? 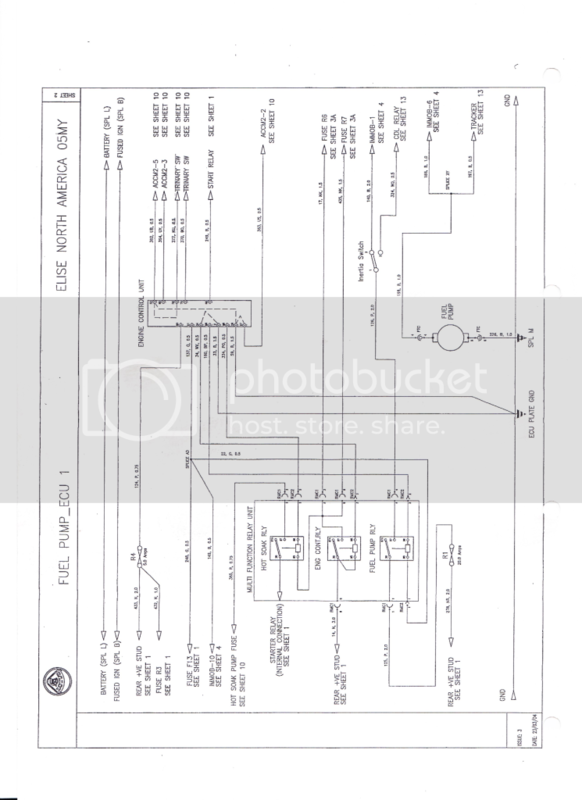 I am interested in the 06' DBW throttle and LED brake light diagrams. These diagram are from 2008, however the specific details you wanted are probably the same. I'm sure they have what I need. Thank you. Old thread bump I know, but did BOE take down the diagram? don't see it on their page anymore and the dropbox link is dead for me here at work..?